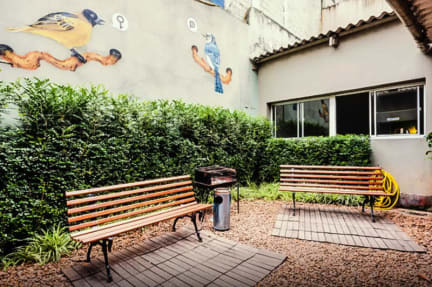 Okupe Hostel is located on the best zone of São Paulo, between the famous Paulista Ave, Pinheiros neighborhood -known for the best restaurants in town!- and the bohemian Vila Madalena. For those who love to go shopping, we are beside Oscar Freite st, one of the most elegant shopping spots in Brazil. If you wanna enjoy the city by public transportation, we are 15 minutes away from the metro and right in front of a bus stop where there are buses that take you everywhere in this town. To make it even better, we also have a partnership with Uber that allows our guests to have a discount coupon on their first ride in São Paulo. We believe on the diversity of cultures, beliefs and personalities that only São Paulo has, that's why our hostel welcomes the crazy backpackers, that want to enjoy the city as much as they can, but also guests that come to study or work at the city and need a good night sleep. Okupe's mission is to promote the interaction between these two kind of people, 'cause in the end a hostel is always a place to know people, teach a little of what you know and learn from the others. Okupe has an amazing structure that counts with a kitchen, a lot of bathrooms and vests, TV room with games (and a snooker table! yey! 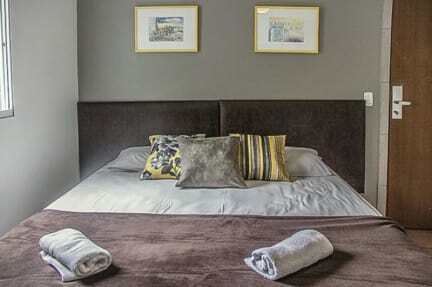 ), shared and private rooms, a rooftop with hammocks, and a bar to drink all you can after a day on the gray city. For you to have an unforgetable experience from your arrival in São Paulo until your good bye, free WIFI, bed sheets, cable TV, daily cleaning, towels rental, bike rental and transfer and laundry services (check prices). We also promote parties and activities with snacks, bands playing live, expositors and tattooers. And, of course, our staff is the best in the city and has incredible city tips that go beyond the touristic places that everyone know. We've got free entries to the best clubs and parties in town and we join you at night to show you the best part of São Paulo!